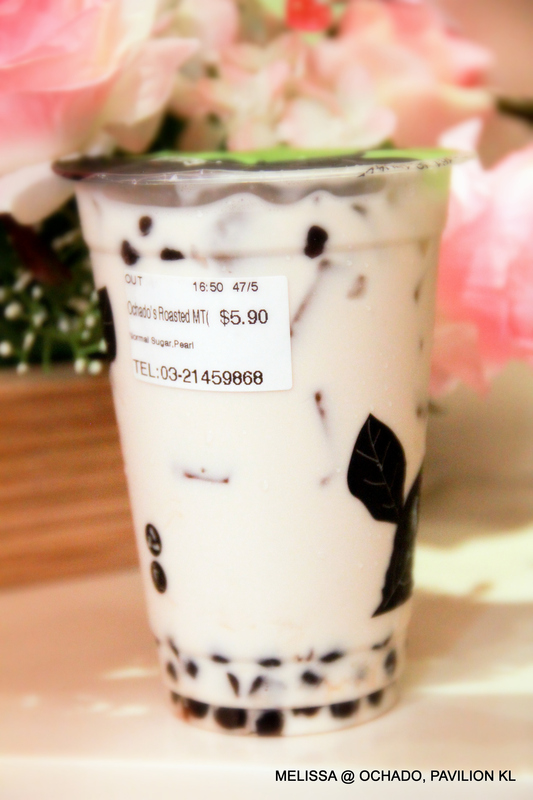 Are you an avid fan of Bubble Milk Tea? Earlier I posted about ‘Tokyo Street” the place where I visited last weekend. 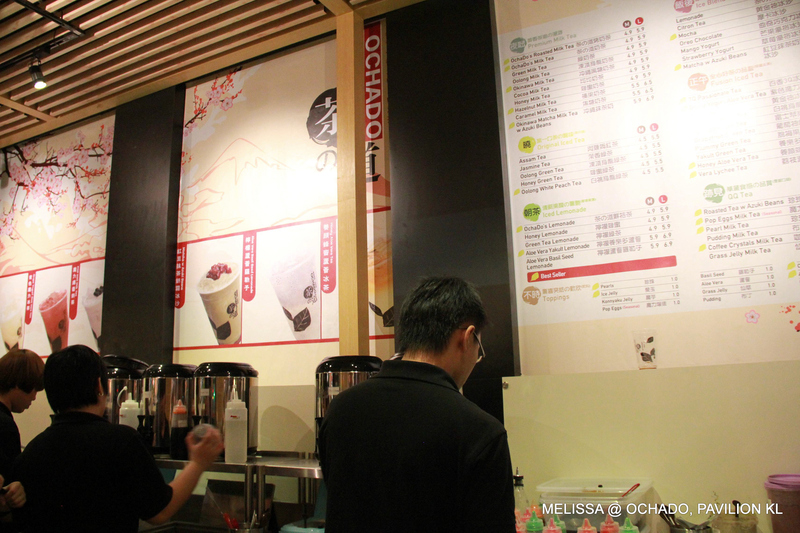 Then I saw this Ochado which appear to have about the same popularity as Chatime. It definitely do not stop me from giving a try. Why waste this opportunity since I’m already there. 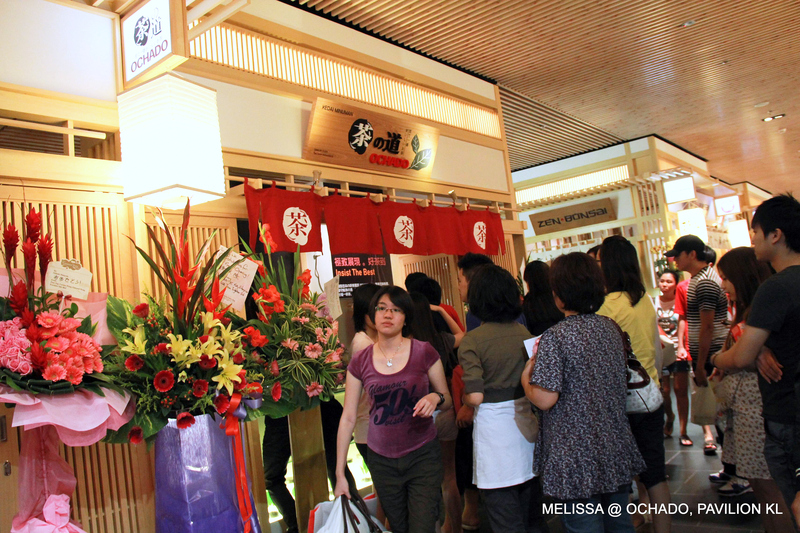 Started since 19 March 2010 in Singapore, Ochado brought in new drinks with Japanese concept which is the japanese brewing skill to attract the attention of consumers. 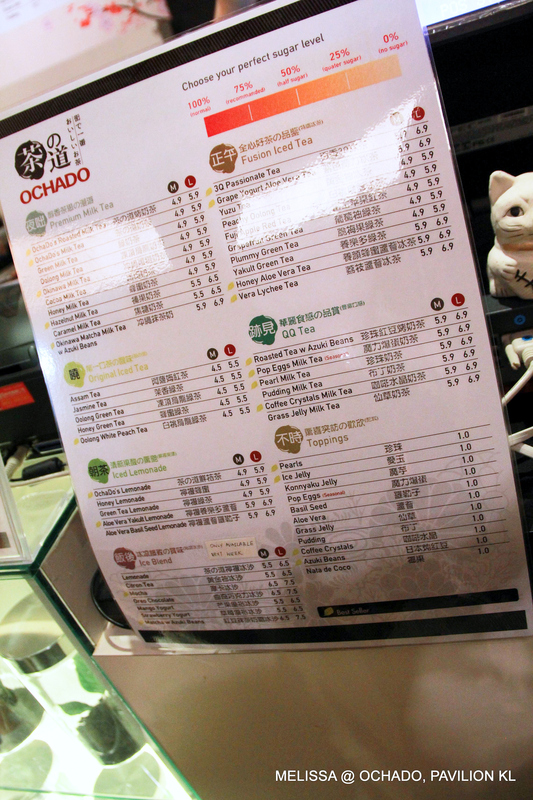 Ochado is originated from two words – OCHA & CHADO. Ochado, originating from Japan. Focus on brewing the best quality tea with the most natural and freshest ingredients. Strive to make every drink to perfection. Though its crowded, the order came pretty fast. Choose your desired flavors, toppings and size from the menu. So many types..I hardly decide. On safe side, let us all choose ‘best seller’. Stamped as good I suppose. 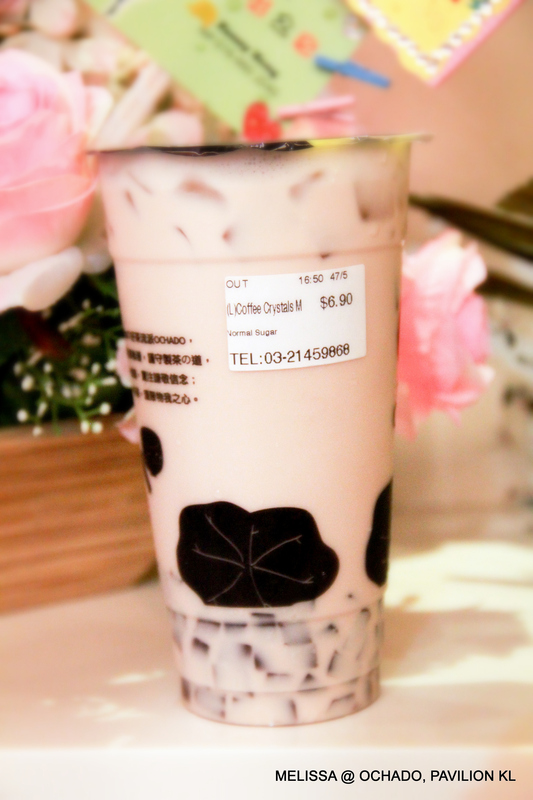 Original flavor milk tea. Served with quality. Every sip of brewed fragrant tea suits my taste and its not too sweet. Mustn’t miss out the chewy pearls by just adding RM1. 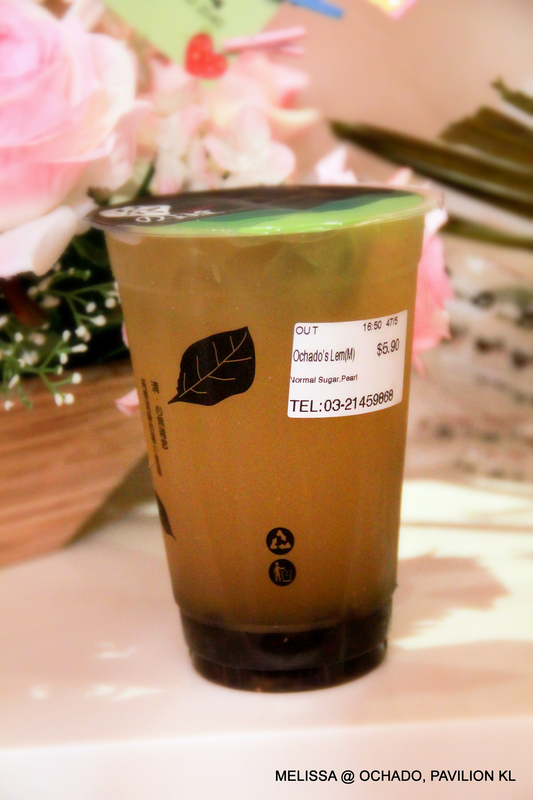 I noticed that their pearls are slightly smaller than those from Chatime. Same milk tea, but what made this different from the rest? It has ‘Coffee Crystals’. A jelly form cubes which has crunchy texture with taste of coffee. Do you like a mild drink? Or less complicate one. 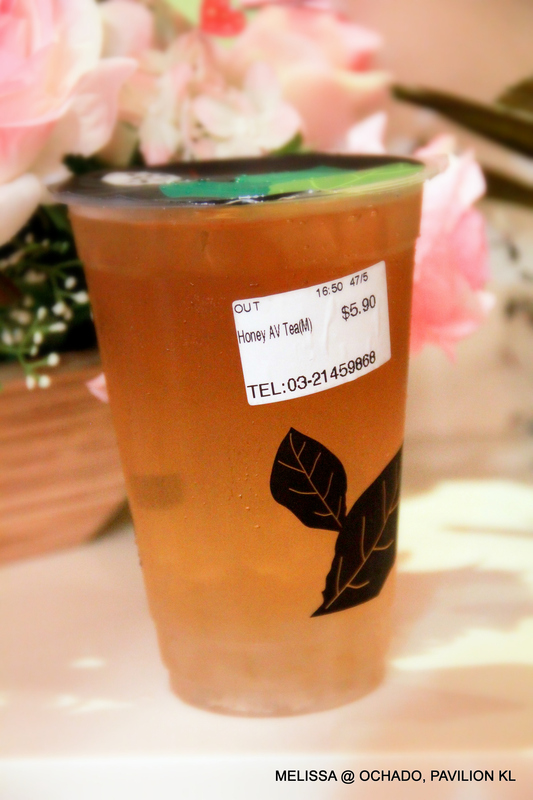 Honey flavored tea with small aloe vera bits which easily sip through the straw, would be a good choice. (A mixture of red tea and honey as the sweetener). A mixture of green tea and pure lime juice with 1 no. of preserved sour plum. A very refreshing drink, best to consume during hot weather. But if you are not into sour stuff, you may find this too sour. seems like the bubble milk tea is again mushrooming in every nook and crook of Malaysia! Good one..